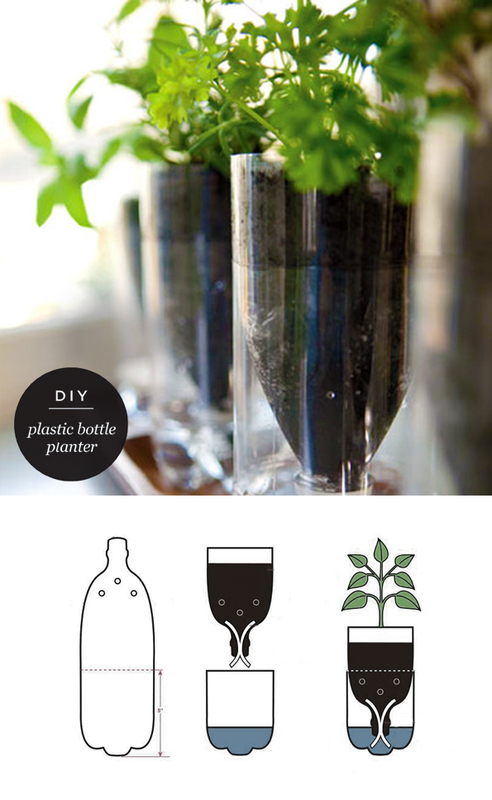 Totally in love with this super eco self-watering upcycled plastic bottle planter by Science you can love ♥ Make sure you check out their site here. 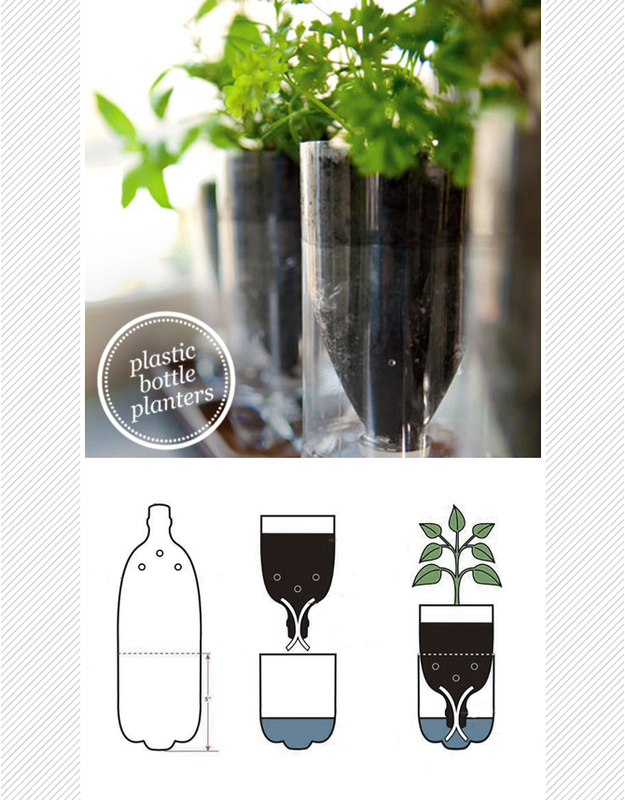 Herb seedlings Instructions:For each planter, mark a line 5 inches (12cm's) from the bottle’s base. Use the utility knife to puncture the bottle at the mark (an adult’s job), then use scissors to cut all the way around the bottle at the mark. Remove the label, using the label remover or vegetable oil to get rid of any extra adhesive.With the cap in place, invert the bottle’s top portion and insert it into the base. Fill it partway with soil. Transplant a seedling, adding soil and pressing it gently until the seedling is secured in the planter.Lift out the soil-filled top portion and remove the cap. Add about an inch of water to the planter’s base, enough to cover the lip of the inverted bottle top when you replace it. Give the seedling some more water to help it get established, then place it in a sunny spot. Following the care instructions that came with the herb, add water as needed to the planter’s base.I’m fairly active on facebook, pinterest and twitter, so let’s stay in touch! This sounds pretty cool! Will try out implementing those steps as well. Thanks for the nice share!